Enjoy homemade sweet and tangy jerky. 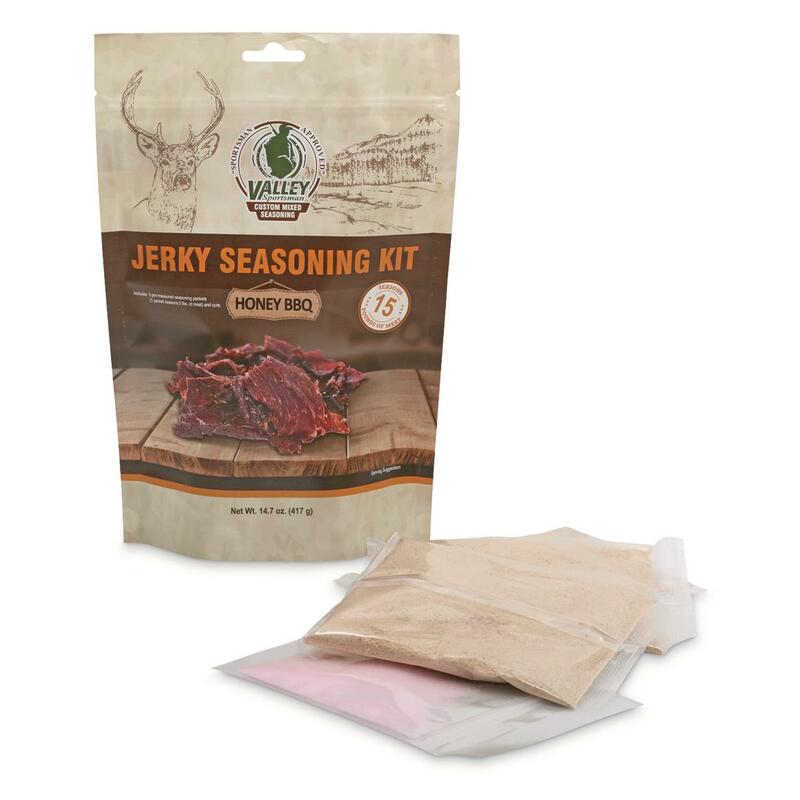 Know exactly what goes into your meat and make DIY wild game jerky like a pro with Valley Sportsman Custom Mixed Seasoning. Contains enough seasoning to flavor up to 15 lbs. of meat. Includes resealable cure bag.